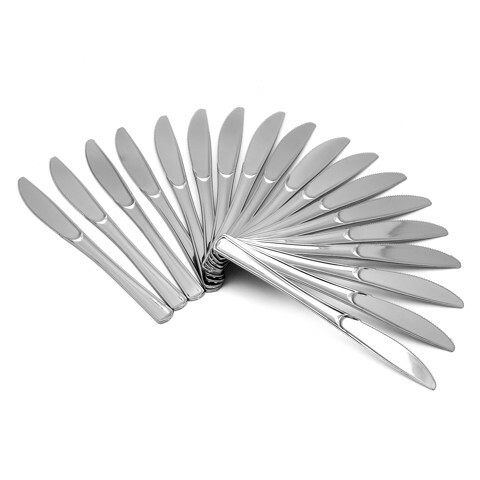 Disposable Silver-Look Knives 18Pk. Adult Size - 18.8cm. Blade 85 x 20mm. Silver Chrome Look. Plastic. 5.7G Packaging: Printed OPP Bag.